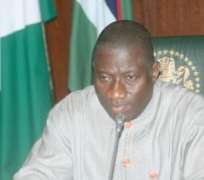 President Goodluck Jonathan on Sunday sacked Mrs Aisha Umar as the Senior Special Assistant to the President. The announcement came via a terse statement by Mr Sam Nwaobasi special assistant (media) to the Secretary to the Government of the Federation,Anyim Pius Anyim. 'His Excellency Dr. Goodluck Ebele Jonathan, GCFR President of the Federal Republic of Nigeria has relieved Mrs Aisha Umar of her appointment as Senior Special Assistant to the President. This is with effect from the 25th of November, 2013,' it reads. The statement dated 24th November, 2013 with reference number PPR/OSGF/PR/02 was titled: 'Termination Of The Appointment Of Mrs Aisha Umar- Senior Special Assistant To The President.' No reason was given for her sack.